A file should be sold online. Price is 150$. 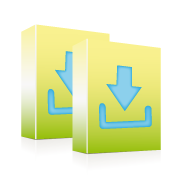 The file can be downloaded up to 100 times per Month. The File is available 1 Year after the first download. In case you want to offer multiple files pack them as one zip-file.